This is the list of system responders that have been configured. These are independent of individual user responders. 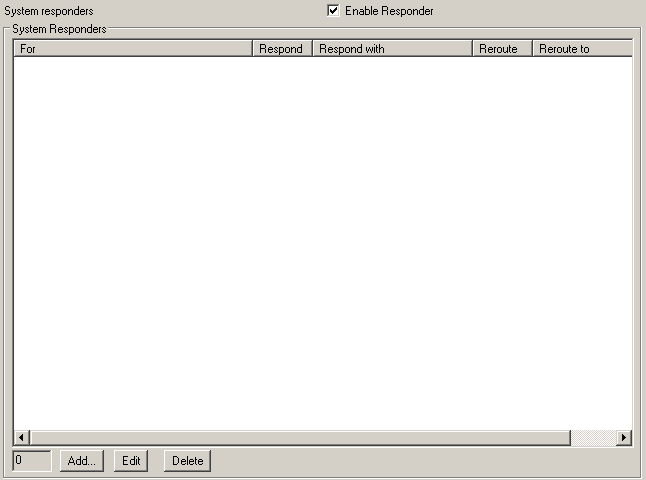 Double clicking a responder opens the responder editor. Right click one or more selected responders to choose to disable or delete the responders.